A young cowboy and cowgirl tradition. A western boot with colored upper and rubber sole. 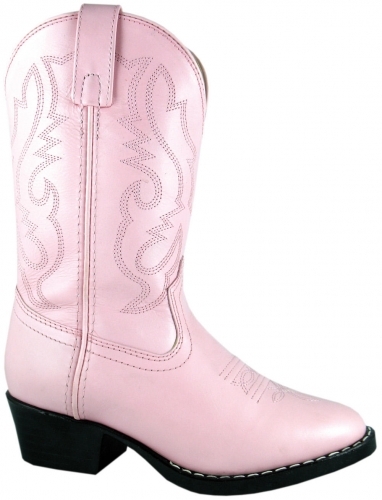 Semi round toe and injection molded sole assures comfort and durability. Allow for your child&apos;s growth by buying 1/2 size above your child&apos;s normal shoe size. All man made materials with long wearing man made outer sole.